Everyone can think of a time when they didn’t get enough sleep – that heavy, groggy feeling lingers throughout the day, and that dragging usually indicates you’re not operating at your best. When children don’t get enough sleep, they also feel the effects, which usually make them cranky and difficult, and their performance at school could suffer. Of course, with the advent of technology, kids are arguably more sleep deprived than ever – but sleep deprivation can have natural causes, too. Kids who struggle with any breathing difficulty, whether it’s allergies or asthma, can lose precious hours of sleep in their quest to simply breathe. 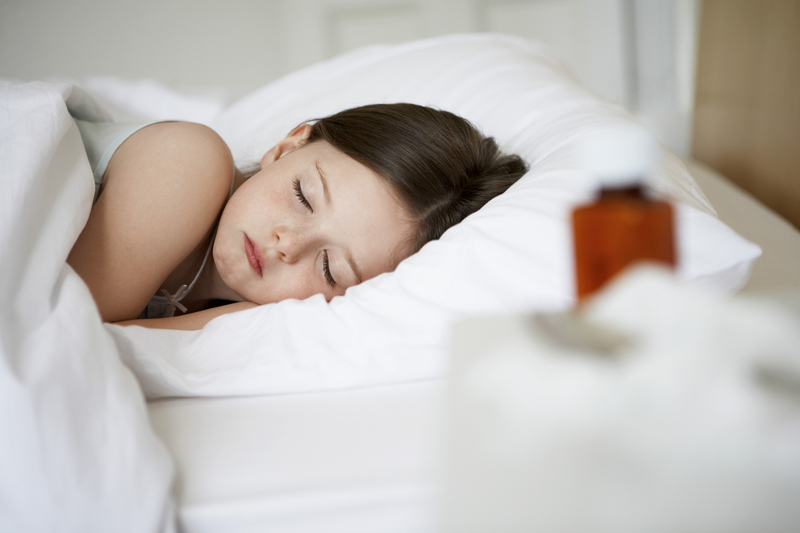 Too little sleep can affect a child’s growth and immune system. Sleep-deprived kids can have a hard time waking up in the morning, feel tired throughout the day, and have trouble functioning, paying attention, and thinking clearly. Sleep allows the body to rest and recharge for the next day – and it’s also the time when children’s bodies grow the most. Each day we breathe in and out about 20,000 times. Those 20,000 breaths can be quite difficult for a child with asthma, especially at night when attacks are more likely to occur. Asthma is a long-term, inflammatory lung disease that causes airways to tighten and narrow when a person with the condition comes into contact with irritants such as pollen, smoke, dust, or pet dander. Several things can play a part in causing asthma such as environmental factors, genetics, allergies, and respiratory infections, the most common trigger for asthmatic children under the age of five. According to the CDC, nearly seven million children under the age of 18 have asthma, making it one of the leading, serious, chronic illnesses among children in the nation. It is the third-ranking cause of hospitalizations for children under the age of 15 and it’s the #1 reason that kids and teens chronically miss school. For parents of kids with breathing difficulties, establishing a relationship with their pediatrician is paramount. The doctor can recommend medication therapy as well suggest environmental changes the parent can make to ease the child’s symptoms. Certain factors – such as odors, pets, chemical sensitivities, and nutrition – can either ease or exacerbate the problem. Making sure the home environment is as clean and irritant-free as possible is also key in lessening symptoms. Vacuuming often and with a machine equipped with a HEPA filter will help reduce the dust, dander and dirt that gets trapped in upholstery and carpet fibers. Additionally, using a high-quality air purifier can go even further in eliminating potential irritants from the home’s environment. A child who is sleeping through the night – without coughing, struggling to breathe or dealing with a stuffy nose – is going to feel and perform better throughout their waking hours. And every kid deserves that.